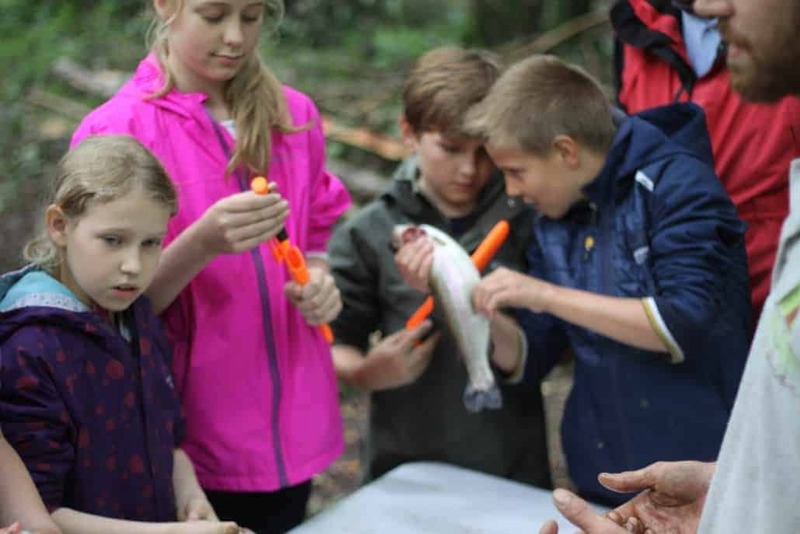 Preparing and cooking a fish in the wild is not only a great bushcraft skill, it’s also fantastic fun. This blog won’t cover how to catch a fish, you can find more information about that here, but it will show you how to gut, prepare and cook a fish in the woods. What better than sitting down to eat a fish that you’ve just caught and cooked over a campfire. It is a truly special experience that pulls together several bushcraft skills and immerses one in the wilderness. This wonderful experience begins with, having caught your fish, correctly gutting it. Read on to learn more. Having caught and killed your fish, you need to gut it. This should be done when the fish is as fresh as possible. Ideally, you will have a fire already burning or if not at least prepared and ready to light in a quick and effective manner. 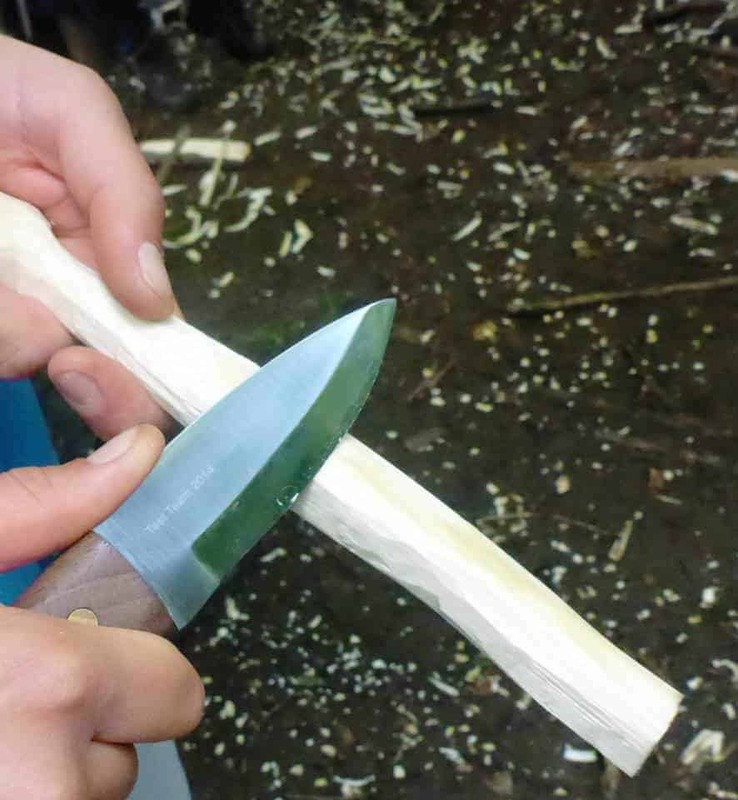 Learn more about preparing fin, feather, and fur as well as knife sharpening, shelter building, and fire lighting in our weekend bushcraft course. The first thing that you will need to do before gutting your healthy looking fish is to wash it and scale it. Depending upon the type of fish you might need to be careful around the fins which can often be sharp. In order to remove the scales from a fish, you will need to scrape a blade (gently and you don’t want to damage the fish) from the tail to the head of the fish. Select your sharpest knife and cut, from tail to head, along the length of the belly of the fish. It is important that your knife be razor sharp for this task, you just want to open the fish up – not impale it! To see how to sharpen a knife, take a look at this video that we did as part of our Facebook live series. Slowly, using your finger in a ‘come hither’ motion, remove the fish’s entrails. You may prefer to use a spoon for this task but however, you do it make sure that all of the entrails are fully removed. Rinse the inside of the fish simply by pouring water and letting it run over and in the cavity. Don’t leave fish entrails just scattered about your campsite. Not only is this untidy and disrespectful it can also lead to animals, such as rats or even foxes, frequenting your campsite. Burn the entrails of the fish or seal them in a plastic bag and carry them out with you. With your fire lit and your fish gutted it’s time to start cooking your fish. There are several methods for doing this and we run through a few below. The most important thing to do though is to find out what works for you and what you enjoy! 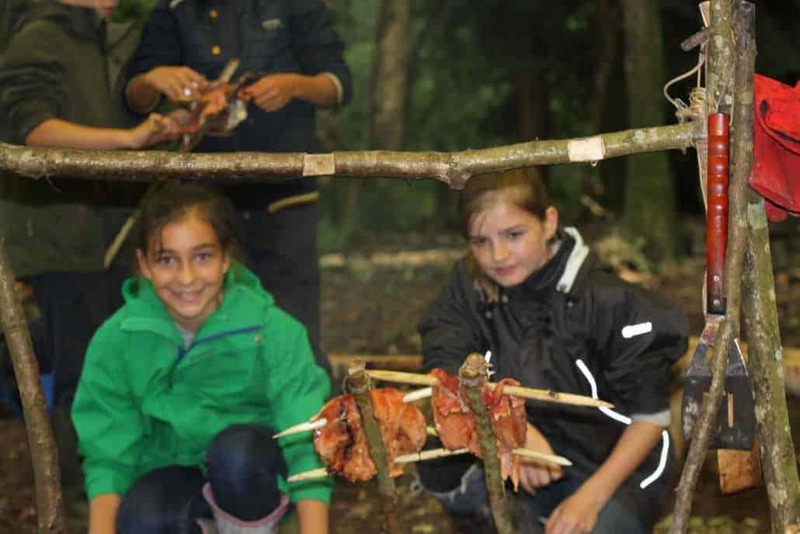 Read on to find out more about bushcraft and cooking a fish in the wild. Perhaps the best know bushcraft method for cooking a fish is the split stick. Here is how to cook fish using this method. 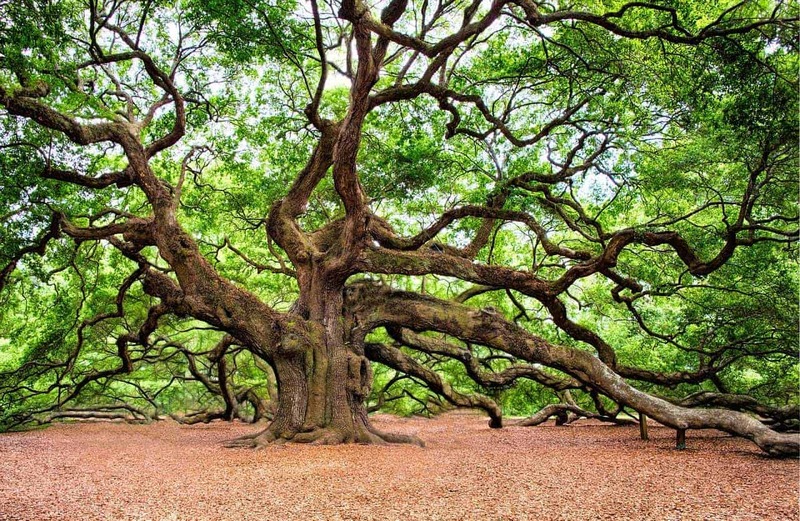 Choose a length of non-toxic wood, such as willow or hazel, around 2m long and 5 cm thick. Split the stick lengthways down the middle for around 30 cm. Butterfly the fish so that it opens out and can be laid flat with the inner flesh exposed. Make cross sticks. These should be around the thickness of your finger and around double the length of the width of the butterflied fish. Remove the back from the sticks and sharpen them into a point at each end. Bring it all together – thread the cross sticks through the butterflied fish and fit the fish, now held open with the cross sticks, into the split stick you made earlier. Now, make a tripod to hold you split stick, or simply stick it in the ground with a supporting stick along the length of the main split stick, and cook your fish over the fire. Steaming fish might seem like an elaborate method of cooking fish, but bushcraft is about being in harmony with nature; not ‘surviving’ or ‘overcoming’ it. Start cooking when your fire burning down to the embers, or use a ‘keyhole’ shaped fire pit from which you can scrape the embers without impacting on the fire. Lay several handfuls of sphagnum moss over the embers, so that the roots and mud of the moss face toward the fire. Place your gutted fish on top of this moss then cover with another handful of moss, placed with the roots facing towards the sky. Wait for the steamWait until steam begins to rise from the moss, once it begins to steam then leave your fish to steam for around thirty minutes before testing if it is ready to eat. If the fish is ready then the skin should slip easily away from the flesh. Here are a few pieces of kit that we mentioned on this blog. Have a look below and feel free to buy them via the links below. Keep in mind that, with the exception of Bear Blades, Wildway Bushcraft is not associated with any of the products or manufacturers listed below; we don’t get anything from them if you choose to buy anything. Wildway Bushcraft uses Bear Blades. Click the arrows below to select the blog post that you want to read. In our book, there’s not much that sounds better than bivvying on a beach, after a long day walking under the summer sun, and then foraging seafood and cooking it fresh from the ocean. If that also sounds good to you then read on! In this blog, we will be looking at seashore foraging in the South West, specifically Dorset (where Wildway Bushcraft is based) and neighbouring county Devon. Remember though, as with any type of foraging, never eat anything that you have not positively identified as safe. Read on to learn more about seashore foraging in Dorset and Devon. As always please feel free to read the whole blog or skip to the section that interests you the most. The bushcraft skill of foraging is often thought to only apply to the berries and plants that can be found in the woods and hills of Britain. However, as those of us who are lucky enough to live by the coast know, foraging also extends to ocean and the seashore. As with all types of foraging it is important that when foraging on the seashore you treat the environment with respect. This means never taking more than you need and minimising your impact on the area. Seashore foraging brings with it special considerations. These considerations are as important as typical bushcraft foraging concerns such as correctly identifying plants and shrubs before eating them. When it comes to seashore foraging it is vital to get as much information as possible on the cleanliness of the area. The best place to get information on the cleanliness of the area is to speak to the environment agency. To find out more about the cleanliness of the bathing water in your area click here. 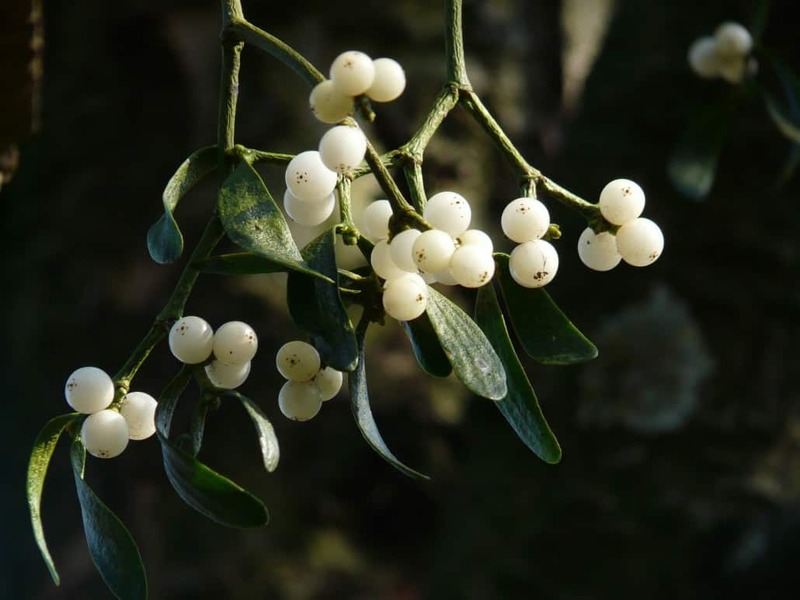 Foraging in the woods or on the river banks of the UK does require you to do so at the correct season (though it is possible to forage for certain plants in winter). When it comes to foraging on the seashore though, you need to be a little more precise. While there are seasonal considerations when it comes to seashore foraging there are also hourly considerations as the best time to go seashore foraging is at low-tide. Be sure to also keep an eye on the weather and take a map with you to avoid getting trapped on the beach if the tide comes in. The coastline of Devon and Dorset is a wonderful place for seashore foraging. There are a wide variety of plants and animals that can be found along the coastline, a few of these are listed below. 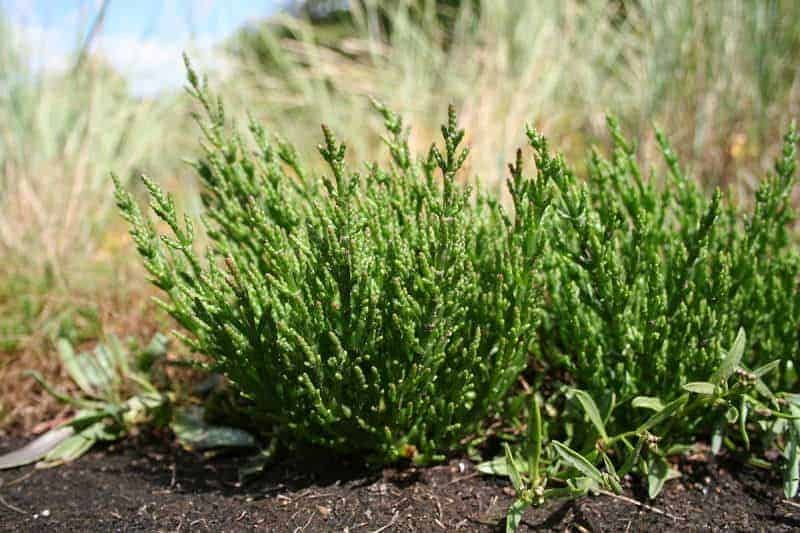 Marsh Samphire, also known as Glasswort, can be found along the coastline in July/August. It is typically found around mud flats and coastal salt marshes. The plant is best eaten steamed and then coated in olive oil or butter. It’s also delicious when stuffed into mackerel (more on fish later on). The plant has a high salt content so don’t add any extra salt when cooking! Sea lettuce is a commonly eaten raw in salads or made into soups. 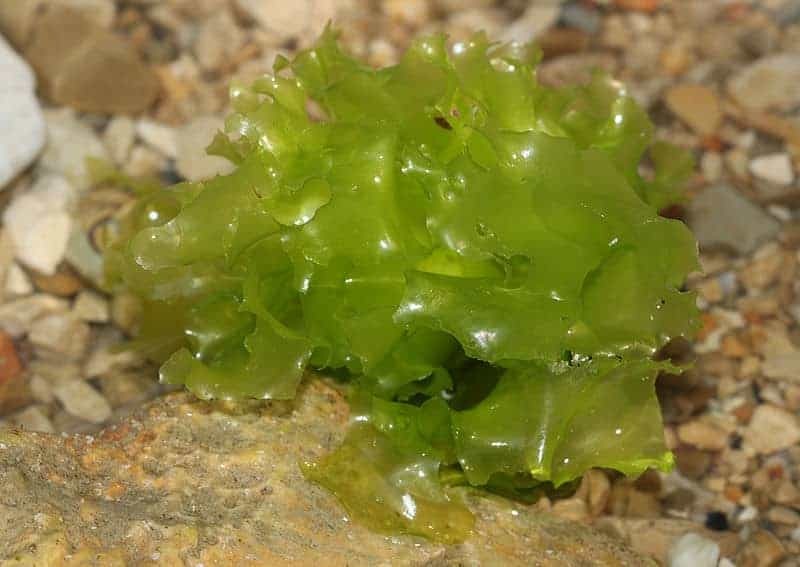 It is commonly found around most of the UK coastline and is very high in protein and iron. Be aware though that the plant is susceptible to contamination, therefore you should avoid foraging it from areas where there is a chance of contamination, particularly from toxic heavy metals. Part of the ‘Kelp’ family of seaweed, Oarweed grows in dense beds and can be found attached to rocky beds in depths of up to twenty metres. It is most at home in strong currents and is often exposed to the seashore forager at times of low-tide. Remember that Kelp beds are an important habitat for all kinds of marine life – so be sure not to pick any more than you need. If you’re looking for more information on seashore foraging then Collins Pocket Guide to the seashore is a great place to start. Find the book here. Edible plants aside, there are plenty more foods to be found down by the seashore. Read on to learn more about the seafood that you can forage for in the UK. Mussels are fairly common in and around the South West, particularly in Devon. Found between the low and high water marks on the rocks themselves mussels are a tasty morsel but need to be treated carefully. Rinse them carefully once you’ve collected them and cook them gently in boiling water, on a rolling boil, discard any mussels that have not opened after they have been boiled. The common cockle is a seashore delicacy that is often found throughout the South West. Cockles are filter feeders that are most commonly found on muddy or sandy shores near estuaries. Be very careful when eating them as they will absorb any contaminants in the water around them. Winkles are commonly found in rockpools throughout the UK – making them ideal for seashore foraging. Found in the tidal zone around beaches winkles need to be thoroughly washed and boiled for around five minutes before being eaten – remove the flesh from the shell and roll in olive oil for a tasty snack. If you want to know more about foraging and bushcraft in the UK take a look at these blog posts. Spring is on the way, plants and trees all around us are starting to bloom and it is the perfect time to get outside and start foraging. We’ve looked at foraging in the UK in other blogs, such as this one here; this blog looks specifically foraging in spring. We’ve covered the law and foraging when it comes to bushcraft before but here’s a quick recap. What this basically means is that provided that what you pick is growing wild, e.g. not farmed and that you’re not intending to sell what you pick then you should be okay. In Scotland it is a little different, read on to find out more. In Scotland foraging is covered under the Outdoor Access Code . This stipulates pretty much the same as the Theft Act of 1968 – essentially, don’t pick farmed plants with the intention to sell them. 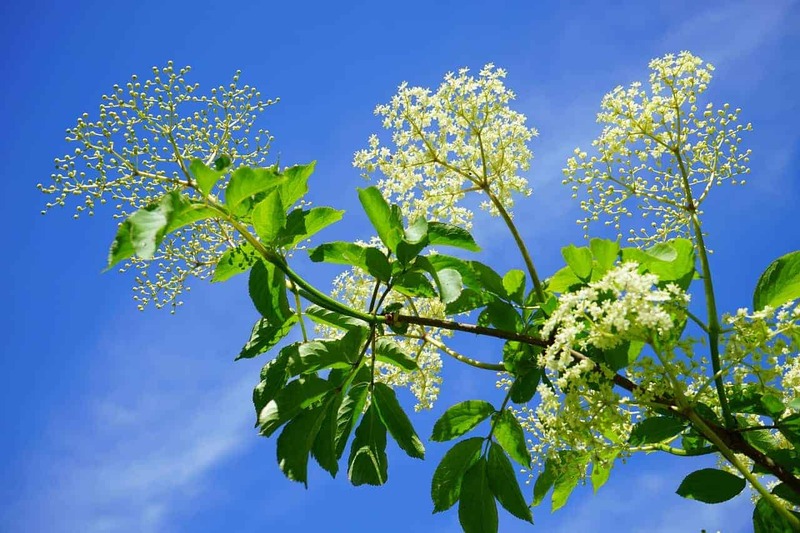 Here are some common UK plants that can be found in spring; perfect for the UK forager. Remember, never eat anything that you’ve not identified as safe. Click on the arrows to discover these edible UK plants. 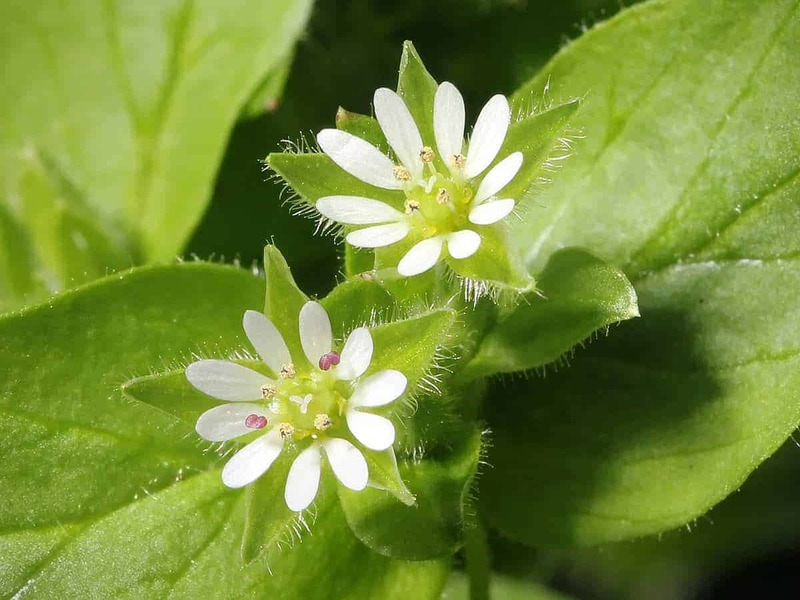 Chickweed starts making an appearance in the UK in March, though can be found from late February. The clever bushcraft forager can use its leaves (tender ones are the best) in salads, or they can be ground up and used to make pesto. 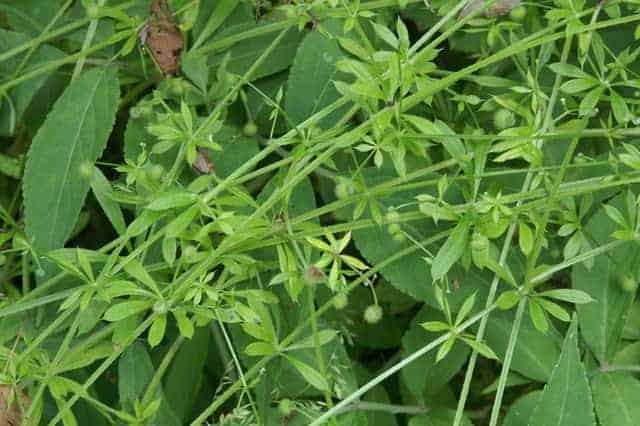 Goosegrass is best eaten as a vegetable in early to late spring – before seeds begin to appear in summer and the leaves become bitter. The leaves can be added to soups, stews and the like while the seeds can be used as a type of coffee substitute. Hawthorn is among the first plants to emerge after winter. 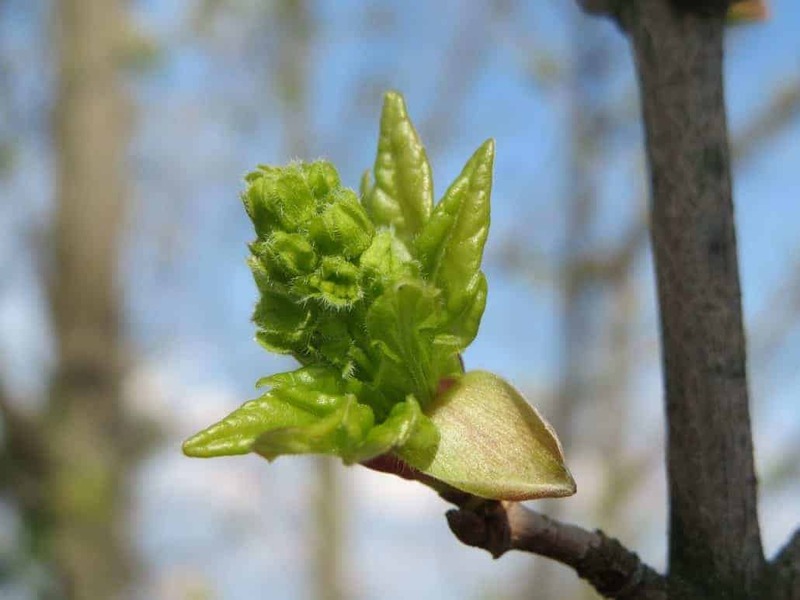 The leaves are best eaten young, before they open and have a nutty taste. 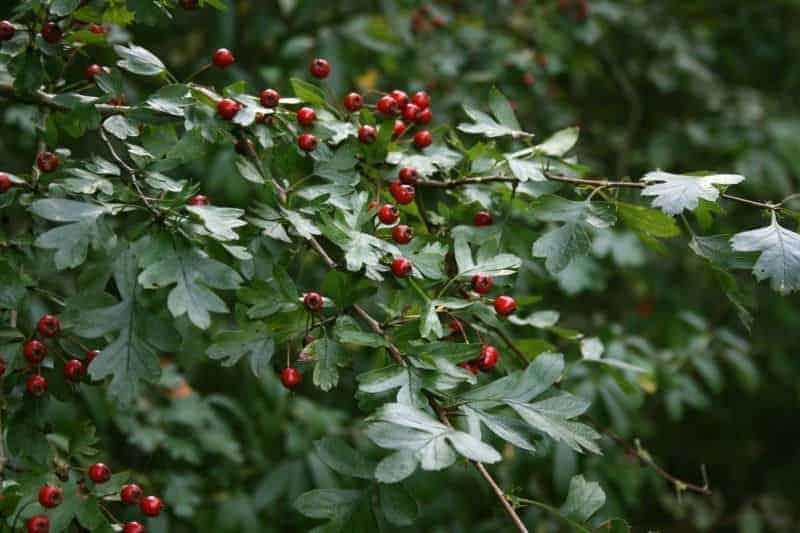 They can be added to potato salads or sandwiches and are most often found in woods, hedgerows, and scrubland. Nettles are the quintessential foraging food. Often the topic of bushcraft tv shows and books the humble and oft-misunderstood plant does make for a delicious morsel. High in vitamins A & D, it is the young and tender leaves of nettles, those that appear in early spring, make for the best eating. The leaves which taste a bit like cabbage/spinach make good tea and soup. This coastal favourite is related to Swiss Chard. Known as ‘sea beet’ or ‘sea beetroot’ it thrives along estuaries and shorelines. The tastiest bits of a nettle are the young leaves which can be picked from spring onwards and used in salads or stews. 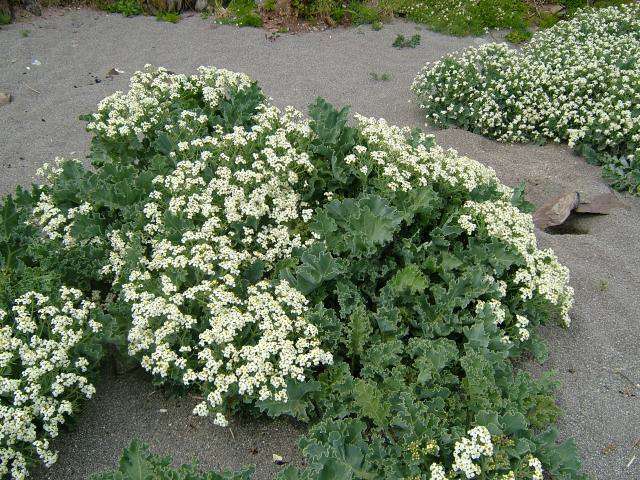 Sea kale grows on the edge of shingle beaches and has a taste somewhere between asparagus and celery. Popular in the Victorian period, Sea Kale is best enjoyed fried, it should only be picked in small amounts as it is relatively rare. The best way to learn about foraging is with a qualified bushcraft instructor. 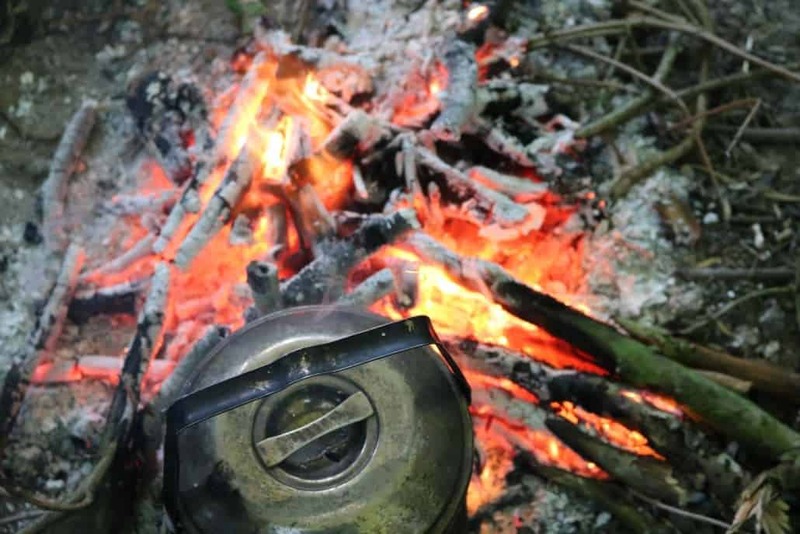 Join us on a weekend bushcraft course to learn foraging, shelter building, fire lighting and more. 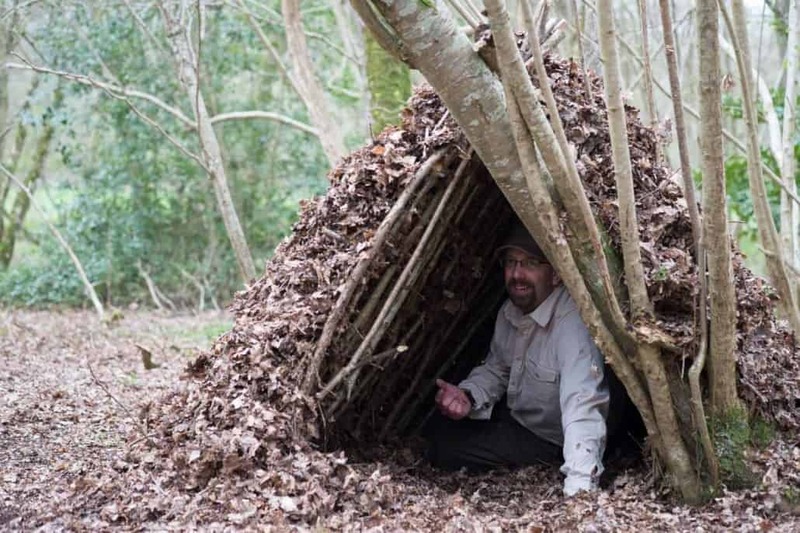 Spring is a great time to refresh your bushcraft skills and despite the recent cold snap, Spring is very much on its way. With nature bursting into life once more and the days growing longer it is time to dust off your kit, or put away your winter kit (!) and brush-up on some bushcraft essentials. 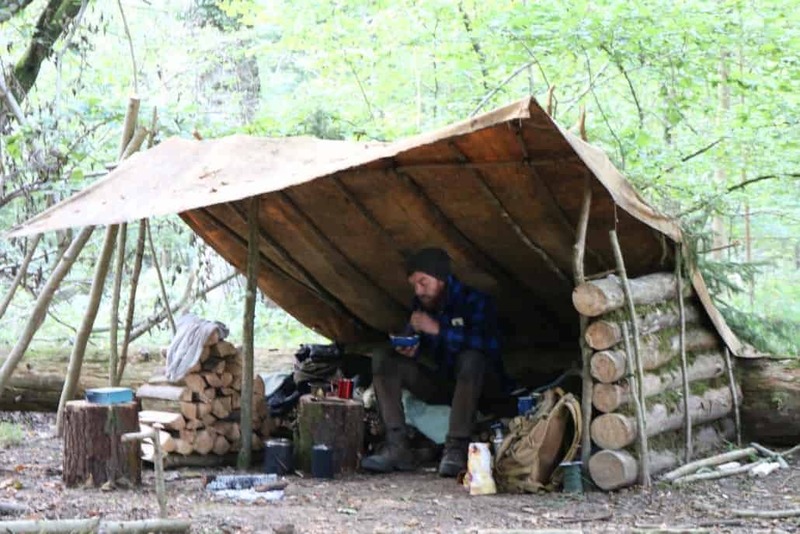 With that in mind here are some key bushcraft skills that you can brush up on. As always, feel free to skip to the section that interests you the most or read the whole blog. Warmer weather brings with it the time for tarps and bivvy bags. Lightweight and easy to set-up tarps and bivvy bags give you the chance to sleep in places that you wouldn’t be able to pitch a tent. The fact that they’re lightweight also means that you can cover further distances when out walking. Learn more about tarp set-ups for solo campers and couples in our blog here. Tarps are generally pretty tough and versatile. You can’t go far wrong with most of the major brands or with an ex-army surplus. For more detail though we have got a little buyer’s guide below. When choosing a tarp for camping it is best to look for one that is the correct size for your needs. A 3 x 3 tarp will be perfectly sufficient for one person and, with the right set-up and a bit of cozying up, suitable for two. For those camping in larger groups, it is worth considering whether you would be better off getting several smaller tarps rather than one large one. Generally speaking, the more attachment points on the tarp the more versatile your set-up. The DD 3×3 tarp has, for example, 19 attachment points. Read our full review of the DD 3 x 3 Tarp here. Spring is not only the perfect time to hone your bushcraft skills, it is also the perfect time to hone your tools. Here at Wildway Bushcraft, we’re not too hung-up on knives. We know that some people get very attached to them but to us, they are tools; and like the rest of our tools, we want our knives to perform to the highest possible standard. more in our weekend bushcraft course. What kit do you need for sharpening your knife? Aside from your knife (obviously), there are just a few items that you need to get it razor sharp. If you’re sharpening indoors then a good set of water stones are perfect for the job. If you’re out in the field then a simple sharpener such as the DC 4 from Fallkniven will do the job just fine. The video below was part of our Facebook live series if you want to have a say in the videos we put out then join our Facebook group. 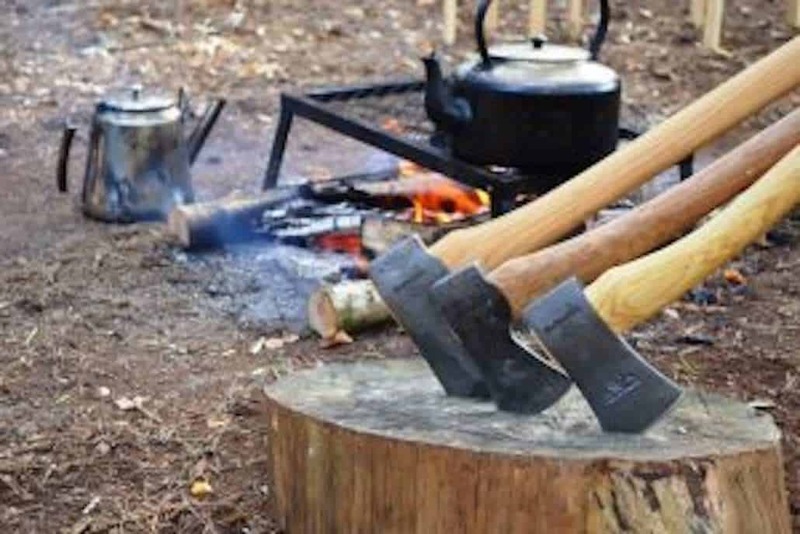 An axe is one of the most useful pieces of bushcraft kit that you can have with you; possibly even more useful than a knife (depending on the situation). Spring is the perfect time to work on your axe skills. 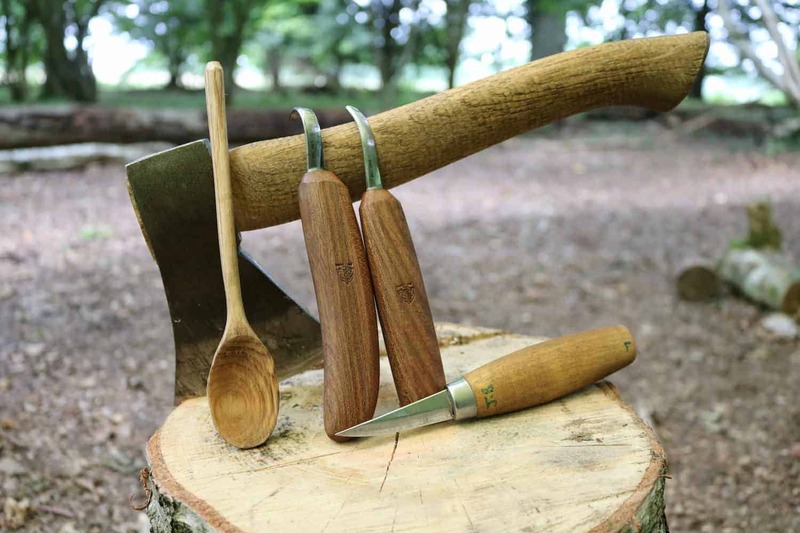 A high level of axe skills will make a lot of other bushcraft skills easier – shelter building, fire lighting and even spoon carving. Perfecting your axe skills begins with knowing how to look after your axe. 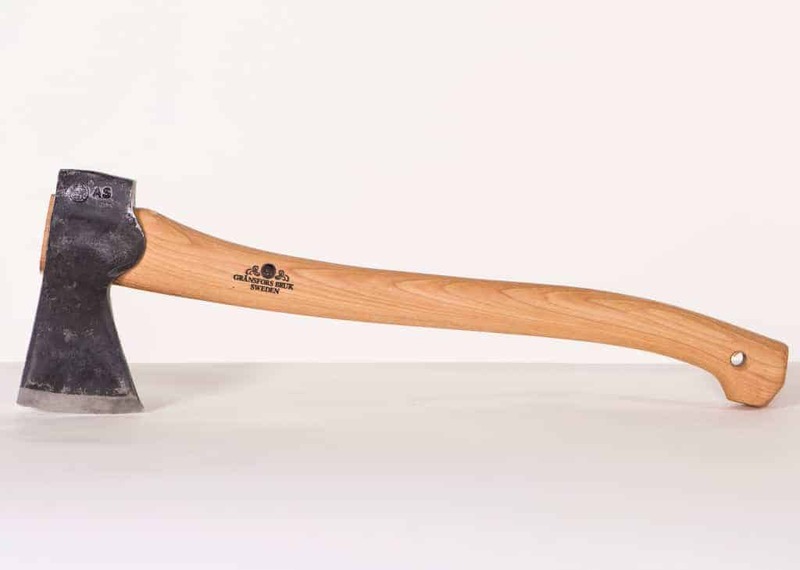 A properly looked after axe will not only last you years but will also be easier to use; like a knife, a blunt axe is more dangerous than a sharp axe. For more information on how to look after you axe see our blog post here. Having honed your axe it’s time to put it to the test. In the video below Wildway Bushcraft show how to split a birch with control and precision. Control splitting birch. Very satisfying! Spring in the UK is the perfect time to refresh your foraging, plant and tree identification skills. Remember though that the golden rule of foraging is to never take more than you need and to respect the environment. Learn more about foraging in the spring in the UK in our blog posts here. 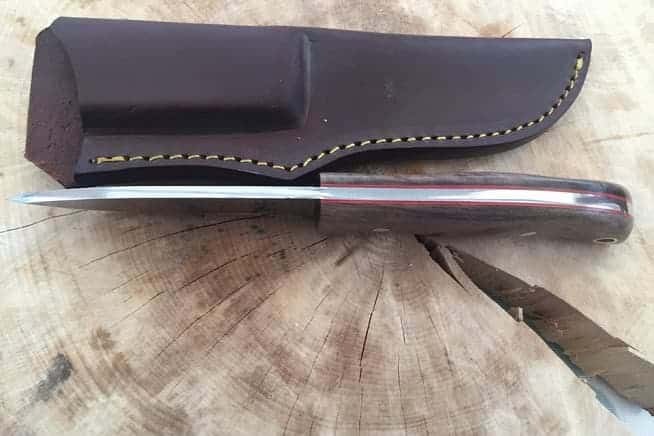 John Boe, owner, and founder of Wildway Bushcraft use the Gransfors Bruk Small ForestAxe which weighs in at only 900 gram (2lbs) and is small enough to fit in a rucksack whilst still being powerful enough to do most jobs. 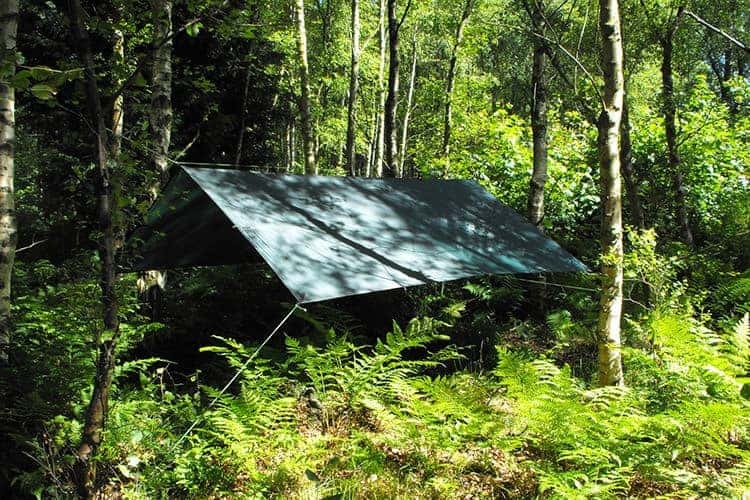 For an entry level bushcraft tarp we recommend the DD 3 X 3 tarp. Click on the arrows below to see more blog posts that will be of interest. 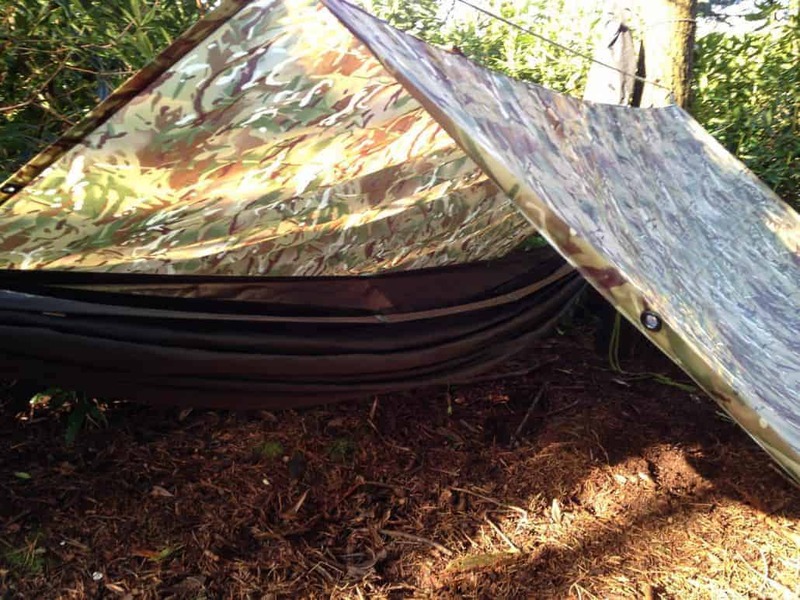 Top tips for tarp set-ups. How to look after your bushcraft axe. Click on the title of the slides below to see our other fantastic courses. 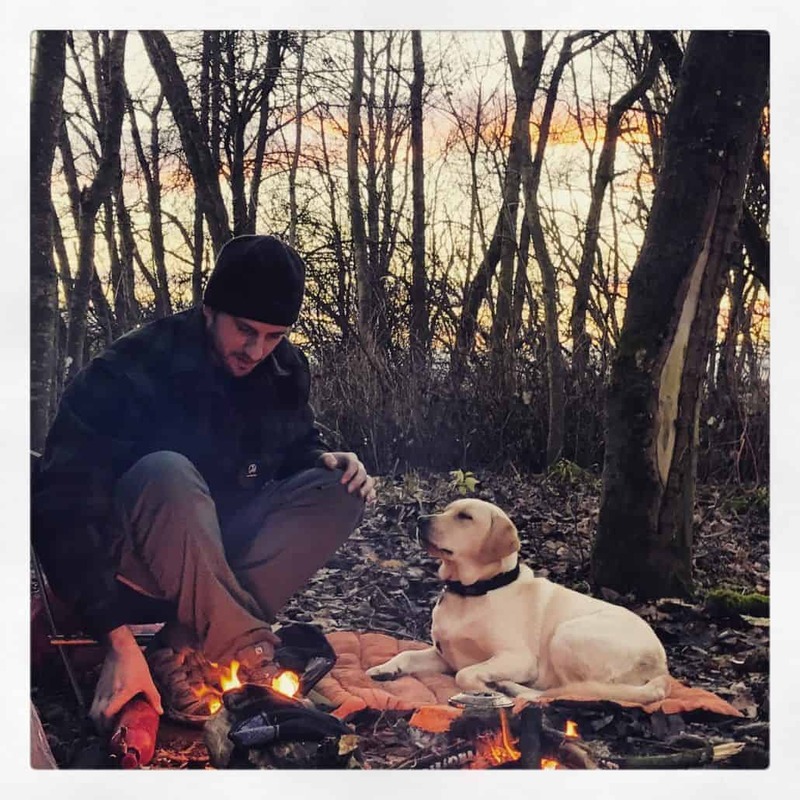 How to catch a fish in the wild, how to cook a fish over a fire, these are all questions that we will be answering in this week’s blog post about bushcraft fishing techniques. While there is nothing better than enjoying freshly caught fish over a fire keep in mind the legalities. As always, please feel free to read the whole blog or skip to the section that interests you the most. If you are going fishing in England or Wales you will need a fishing licence. In Scotland while, for the most part, you don’t need a fishing licence, you will need the landowner’s permission. However, in England and Wales, you don’t need a fishing licence to fish off the beach, provided that you don’t catch certain species. Also, remember that you should only use the techniques described below to catch fish in a true survival situation; it is illegal to catch fish using anything other than a hook and line in UK rivers. For licenses in England and Wales please see the Government site here. For rules surrounding what equipment you can use the UK Government has a breakdown here. Now that’s the legalities done, let’s have a look at how to catch fish in the wild. Remember, these techniques should only be used in a survival situation, now that’s covered let’s take a look at bushcraft fishing techniques. Fish for your dinner and sleep under the stars. Join our canoe expedition to the wilds of Sweden. The biggest challenge that the bushcraft practitioner will experience when making hooks in the wild will be making them small enough yet strong enough. In order to overcome this, one of the simplest hooks to make is the gorge hook. The gorge hook is a piece of strong wood or bone sharpened at both ends with the line tied in the middle. The fish then swallows the bait and the hook acts as a toggle inside the fish’s stomach. One of the biggest challenges when it comes to catching fish in the wild using a hook and line is in making the line. It is always preferable to carry some with you, however, this is not always practical. In such cases, lines can be made from plants, particularly nettles which make a strong natural cord. However, your best bet for making a fishing line in the wild is to use animal hide. Learn how to make natural cordage, light a fire, build a shelter and much more on our weekend bushcraft course. In fast flowing rivers and streams, the most effective method for catching fish is by using a trap. Simple funnel traps are particularly effective in rivers of this type. 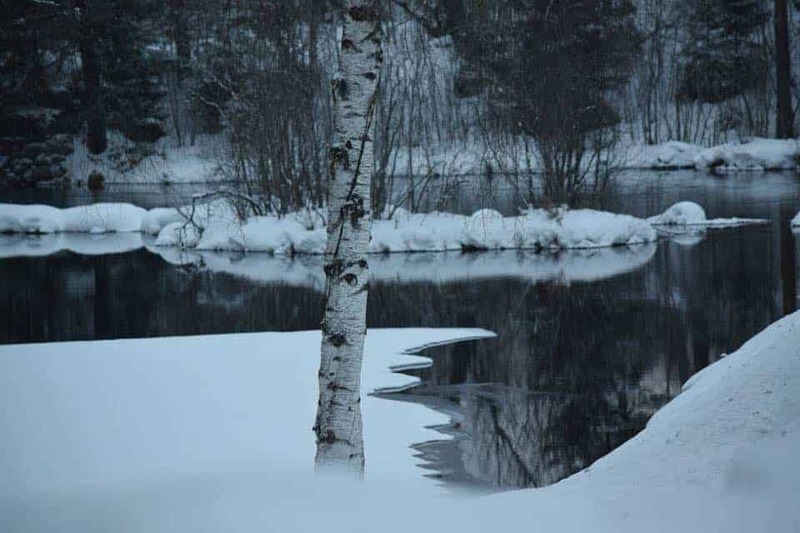 The easiest way to catch fish in the wild using this method is to use interwoven saplings to guide the fish into a narrower and narrower funnel in which the fish are trapped by the force of the water against them. A similar method can be used to guide fish into an eddy on the river. For more information about catching fish via this method, have a look at our blog on foraging along Scotland’s rivers. Cooking fish over a stick on a campfire in the wild, is there anything better? While it might seem intimidating at first cooking fish in the wild is actually quite a simple process. But before you can sit back and enjoy cooking your trout on a stick over the fire you need to know how to gut the fish. Stick your knife into the belly of the fish, just below the gills, and cut downwards towards the tail. Having made the cut insert your finger use it to scoop out the guts. Cut off any bits of the internal organs that are dangling out, and burst the swim bladder – this may be inflated inside. The easiest way of cooking a fish over a fire is to cut off the tail and fins, cutting down the spine – being careful not to sever the spine. Be sure to extend this cut down the side of the fish down behind the gills. The fish can then be opened up, lifted away from its skeleton and then put on a split stick and roasted by the fire. Another method for cooking fish in the wild is to split the fish straight down the middle and then drape each part of the fish over a piece of hard firewood. The wood, with the fish on it can then be placed in the hot coals of the fire. Be wary though as the fish will not take long to cook using this method. Using either of the above two methods you can easily cook a whole fish in the wild! 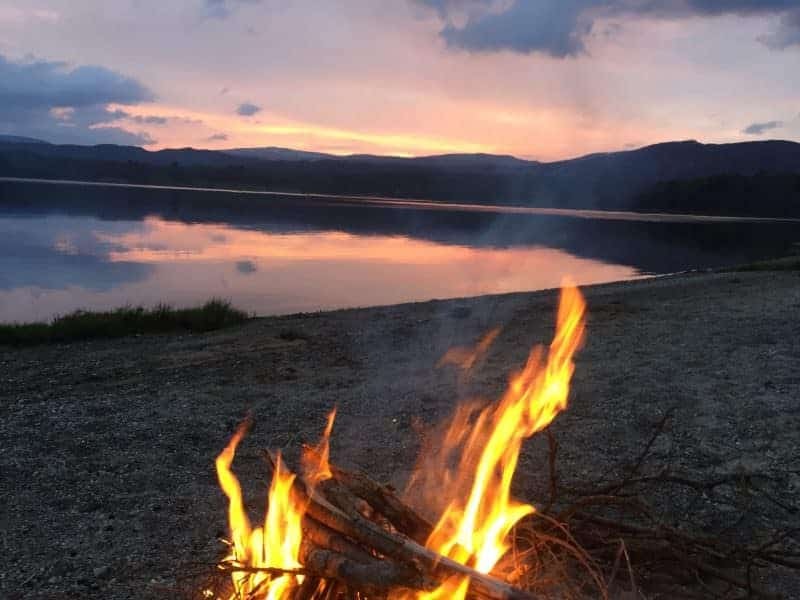 Learn more about the preparation of fish, including how to cook it over a campfire on our weekend bushcraft course, click here for more information. Read more about seashore foraging in our blog here. Learn how to forage along the banks of Scotland’s rivers in this blog. 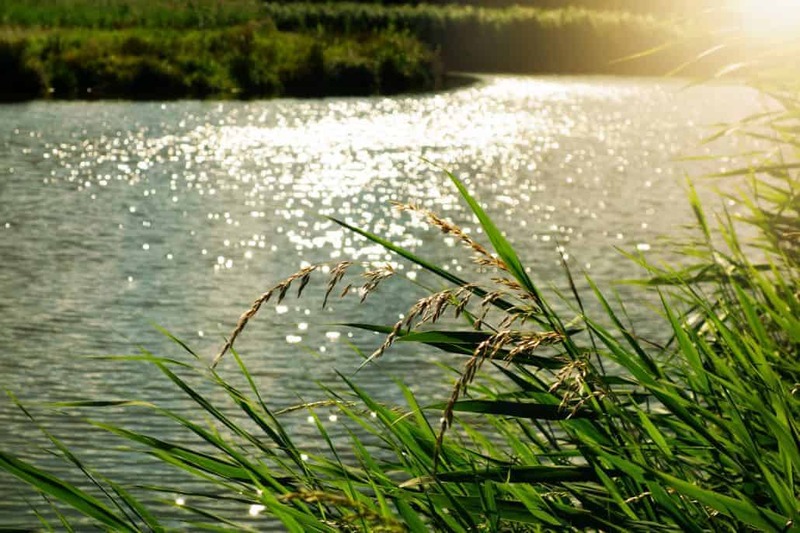 Read about how you can source and purify water out in the wilds in this blog post. It is with good reason that those starting their bushcraft journey often find foraging one of the hardest skills to get to grips with. After all, it requires hours upon hours of not only field craft but also the studious reading of books on identifying the trees and plants of the UK. Foraging also carries with it heightened risk. When learning bushcraft in a safe environment if you fail to light a fire using friction, for example, then the worse case scenario is a sense of disappointment. Failing to correctly identify the fungi you have consumed however has a very different and more serious set of consequences. 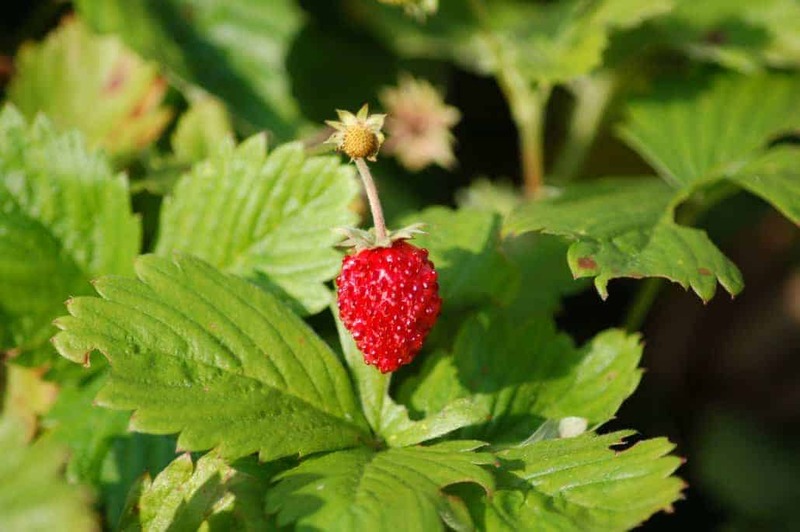 With that in mind, this blog takes a look at the broad spectrum of wild foods available in the UK, briefly covers what foods are safe to eat in the wild in the UK and how you can start foraging in the UK. As usual, please feel free to read the whole blog or skip to the section that interests you the most. When it comes to foraging in the UK the law is relatively clear. In other words, if what you pick is growing wild (e.g. not farmed) then you can pick it as long as you don’t intend to sell it. In Scotland, the Outdoor Access code covers pretty much the same idea, it’s okay to pick it as long as you don’t intend to sell it for commercial purposes. 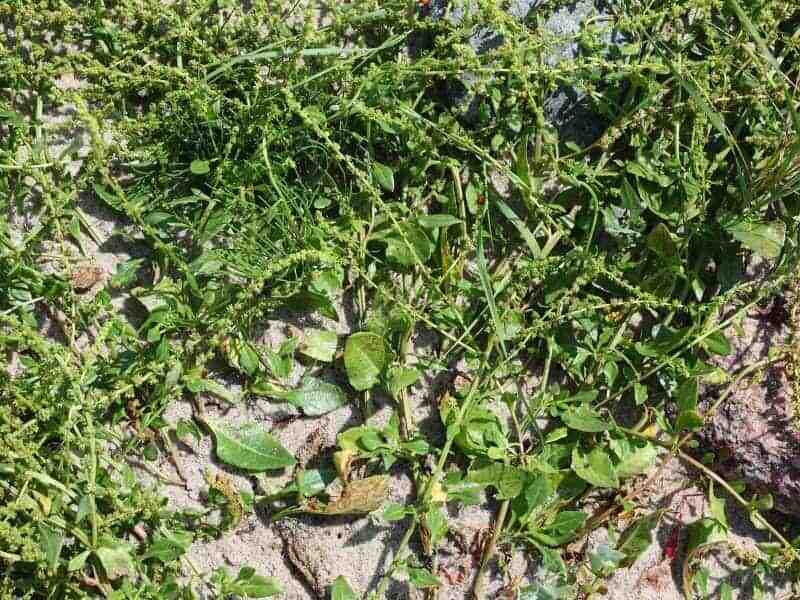 However, be aware that it is technically illegal under the Wildlife and Countryside Act of 1981 to uproot plants in the wild ground. It is also illegal to forage on sites of special scientific interest and/or National Trust land. That’s the law, read on to learn about the wild foods that are readily available in the UK. Remember, don’t eat anything that you’ve not positively identified as safe! Spring and summer are the best times for foraging in the UK, though autumn and winter can also provide a good bounty for those that know where to look. It would be impossible to provide a complete list of all that is available to forage in the UK, so what follows is a few select highlights. More commonly known as horse parsley alexanders are a wonderful wild vegetable. Thought to have been introduced into the UK by the Romans Alexanders are most commonly found in coastal regions of the UK. The whole plant is edible but the stem is the most succulent. Best eaten when fresh in March and April Alexanders are best flavoured with salt and pepper and added to salads. 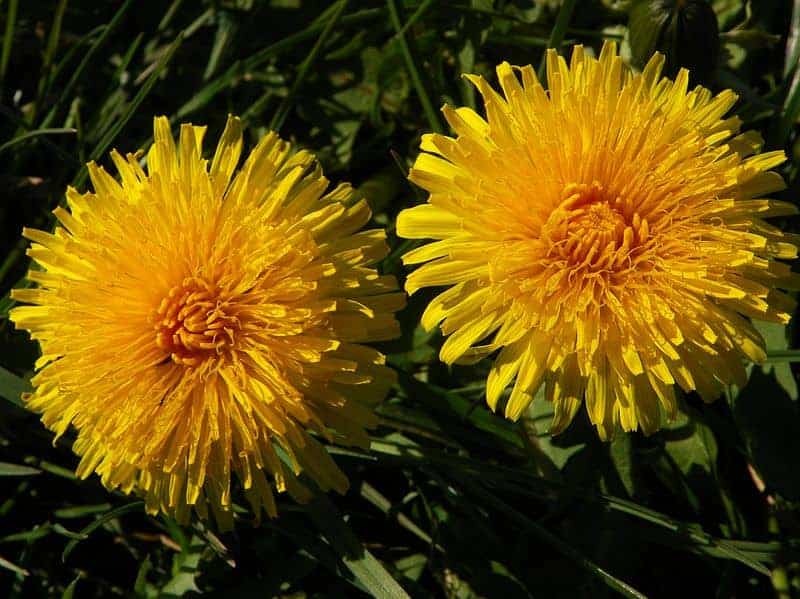 Dandelions are edible, if slightly bitter, both raw and cooked. Found across the UK from early spring dandelions are best used by adding them to stir-fry or omelette type dishes. For a more long-term use, they can also be used to make beer and wine. 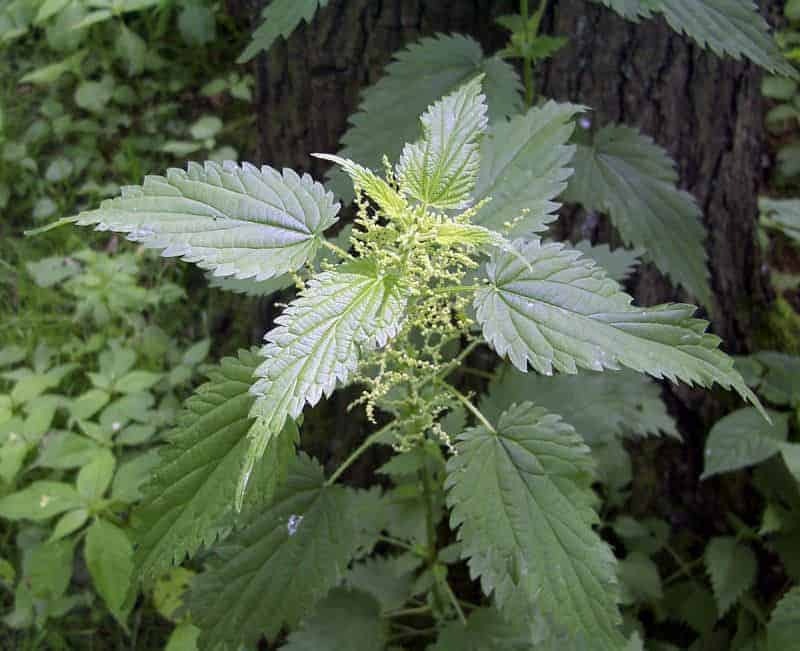 Of course, no blog about foraging in the UK would be complete with a mention of nettles. 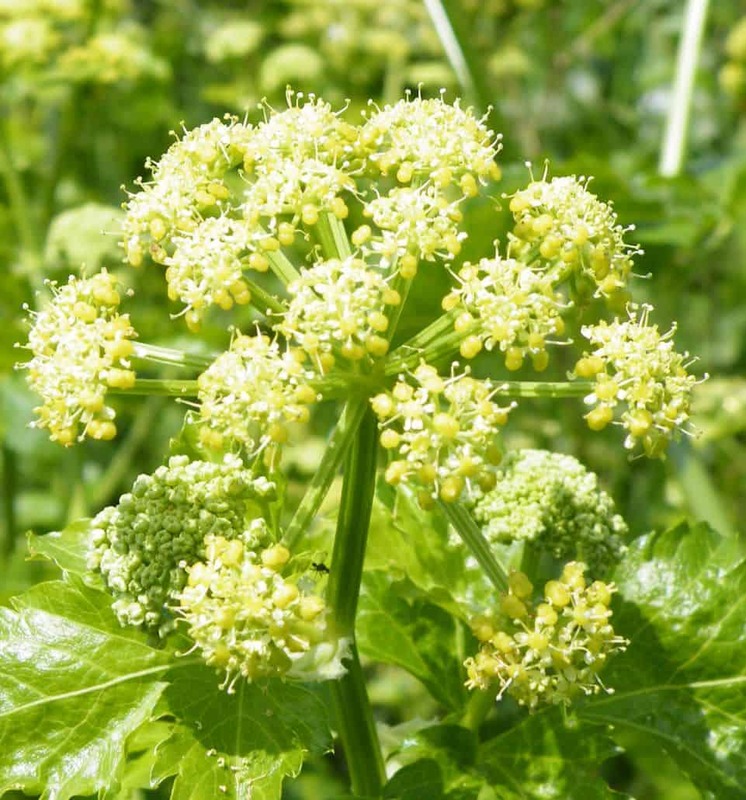 This versatile plant is very rich in Iron and Vitamin A and D. Found throughout the UK and best picked in early March, remember that the best parts to use are the tips of the leaves. The tips of leaves taste a little bit like spinach and can be used to make tea, soup, and even beer. 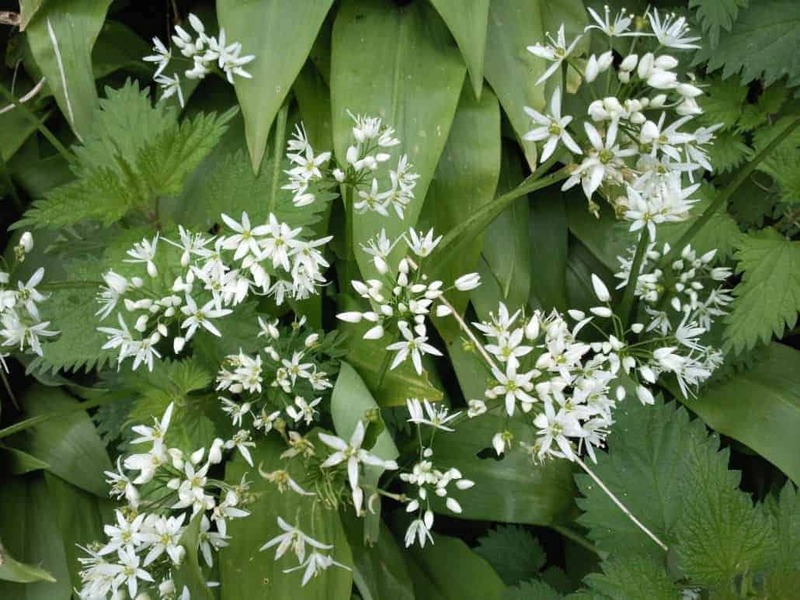 Found in damp woodlands and along the edge of hedgerows in England and Wales wild garlic is a wonderful plant. Both the leaves and the stems of the plant are edible, they make a wonderful addition to salads, soups and sauces. The leaves can even be mashed up to make pesto. Sorrel or rather common or garden sorrel is found among meadows throughout England. It looks a little bit like spinach and has a slight flavour of lemon. 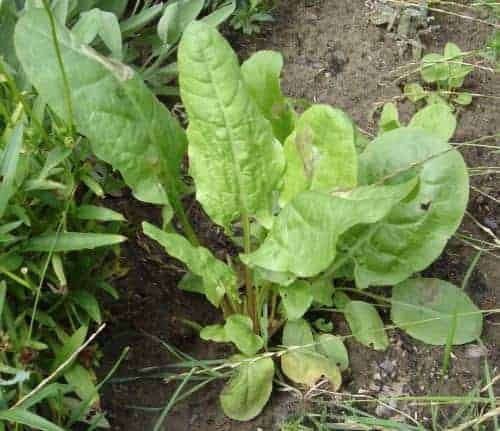 Sorrel can be used to make soups, added to salads or combined with wild garlic to make pesto. That’s just a small section of the wonderful range of wild foods in the United Kingdom. The best way to learn about wild foods is to take a foraging course with a bushcraft instructor. Join our weekend bushcraft course to learn foraging, shelter building, fire lighting and much more. Join us for a bushcraft weekend. Wild foods are found throughout the UK. Our island provides a rich scope of foods that vary wildly from south to north and east to west. Coastal regions, woodlands, hedgerows, and meadowlands all have a distinct variation of the wild foods available. If you’re interested in foraging along Scotland’s rivers, using it as a way to supplement your canoeing diet then read our blog, Foraging on Scotland’s Rivers. While the best way to learn where to forage in the UK is with a bushcraft instructor here are a few tips that you can follow to safely find foods in the UK. Remember though, leave enough food for the local wildlife. The main risk when foraging is from animal feces. Be sure to wash everything that you find, remembering never to put anything in your mouth as part of the identification process, and boil everything before eating it. 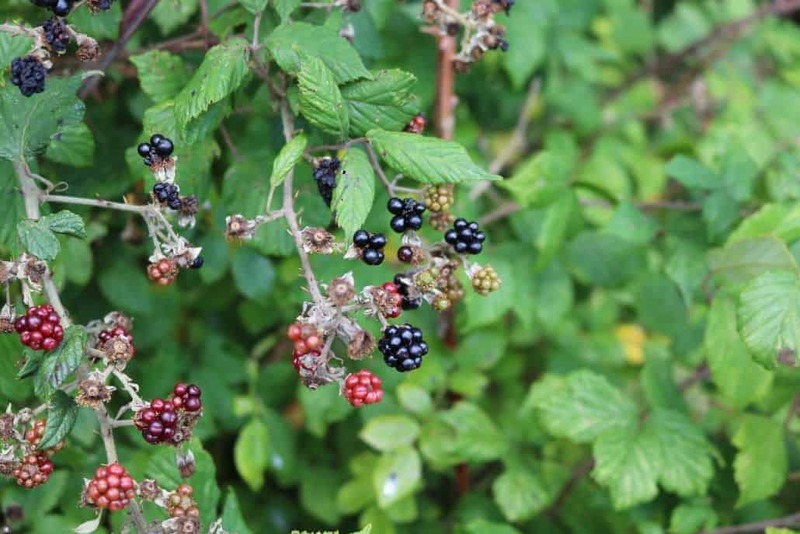 Read on to learn how to start foraging in the UK. The best way to learn foraging in the UK is by taking a foraging course with a bushcraft instructor. Click here to book your spot. Another way to start foraging is to look for local groups. Such groups are increasingly popular due, in part, to a growing awareness of where our food comes from. 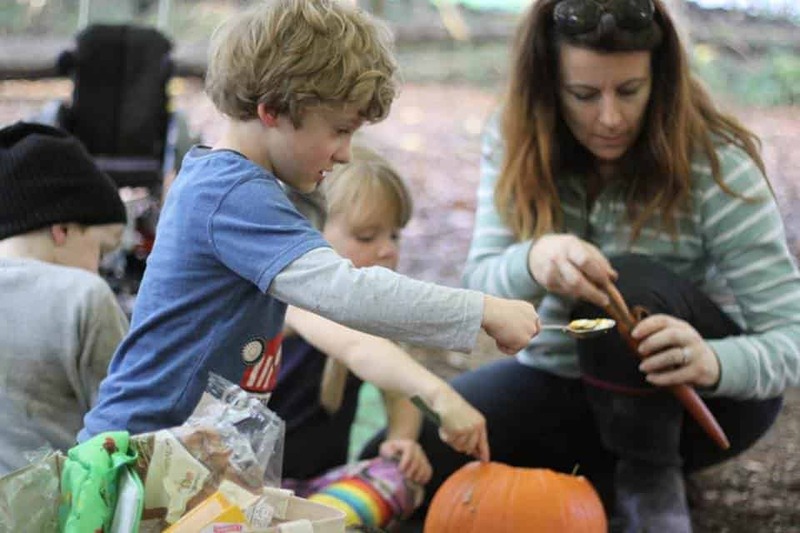 If you and your family would like to get into foraging then why not join our family bushcraft course – click here for more information. Purchase Bushcraft – A Family Guide: Fun and Adventure in the Great Outdoors, written by founder and owner of Wildway Bushcraft, John Boe and Owen Senior. Learn how to cook well for the camp here. Here’s some tips on how to source and purify water. Read more about foraging, in our blog post about seashore foraging. Have fun learning how to identify wild plants in the UK. Remember, don’t eat anything that you have not positively identified as edible. 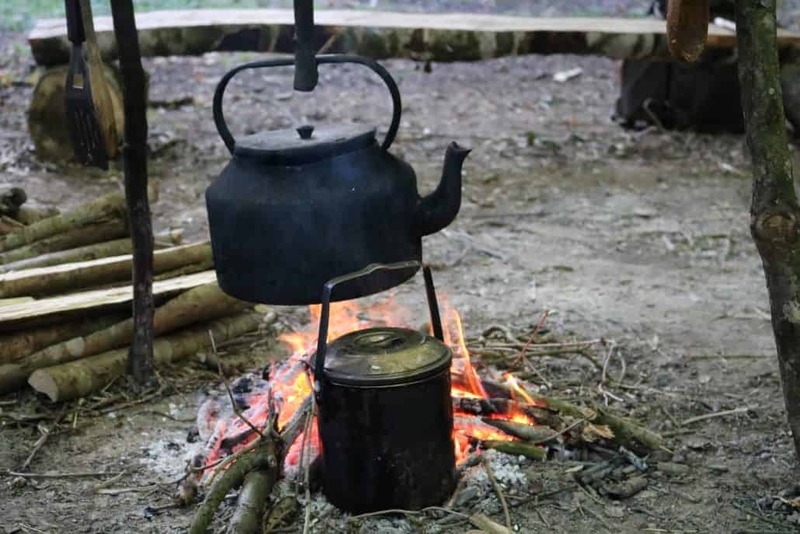 Learn the art of foraging, shelter building, fire lighting and much more on our weekend bushcraft course. 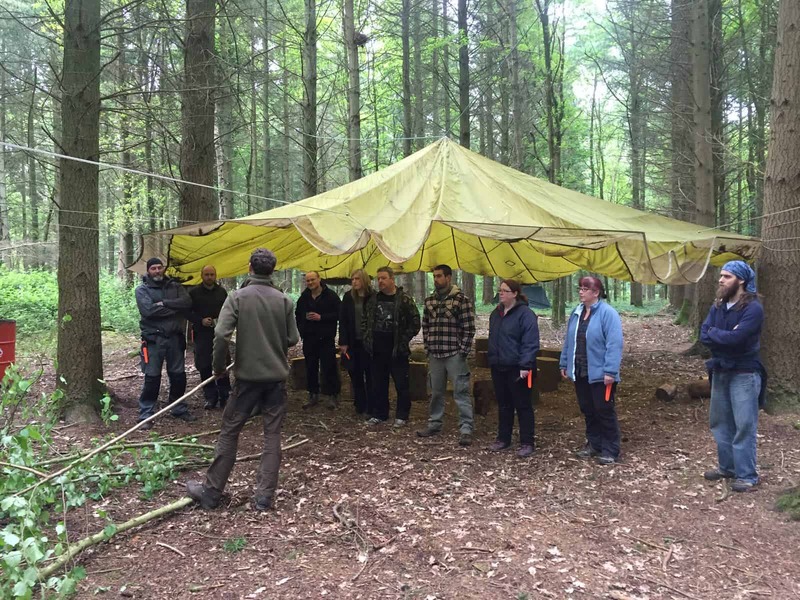 Weekend bushcraft courses from Wildway Bushcraft. Foraging is a fantastic way to either support yourself or to supplement your meals. The latter is especially true when on a long distance canoe trip across some of Scotland’s wildest landscapes. In this blog, we show you how to forage for food and catch fish in and along Scotland’s rivers. Join us for a spectacular trip along Scotland’s river Spey. 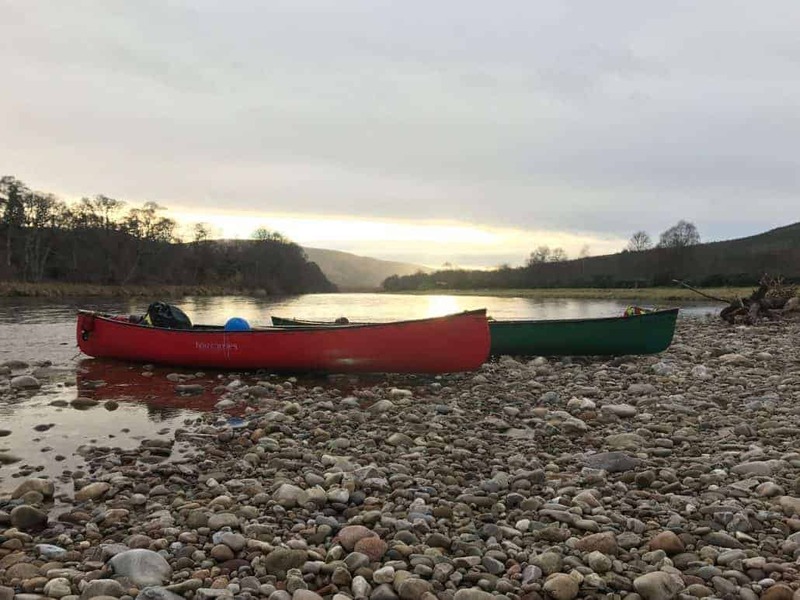 Click here for more details about our five-day Scottish canoe expedition along the river Spey. As always, please feel free to read the whole blog or click on the section that interests you the most. Foraging, like anything else, has its limits. 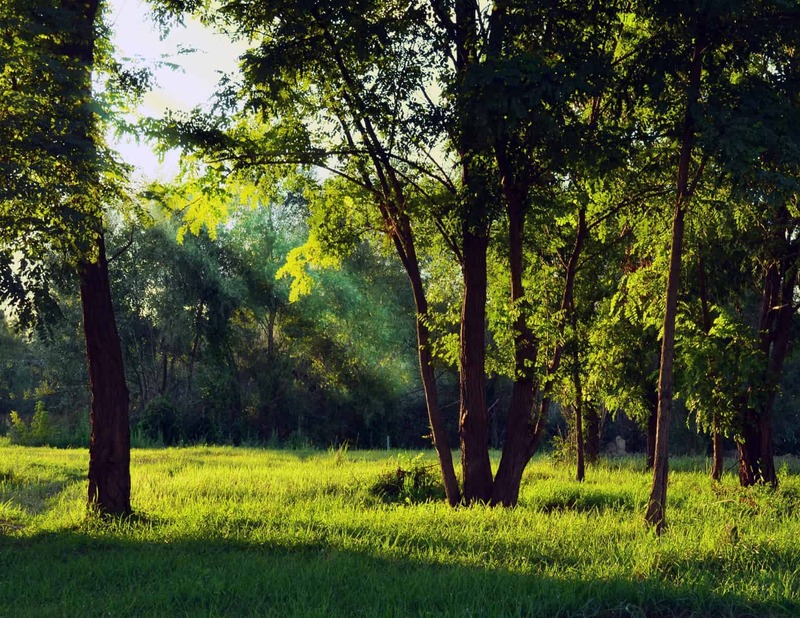 Taking more than the environment can replenish will not only reduce the amount of food available for other fellow foragers but will also have a serious impact on the wildlife and general biodiversity in the area. When foraging there are a few rules that you can abide by to help maintain the environment; take only what you will need, forage from a range of locations, not just a single focused area; eat/use everything that you take. Don’t hunt out of season. Only take a limited number of leaves or fruits from a plant. This will leave it with the resources necessary to survive and reproduce. Only harvest a limited number of plants or animals within a given area. Spread the harvesting load as widely as possible. Take care not to damage the ecosystem. Foraging in Scotland is loosely governed by three sets of guidelines, these are available via the links below. As normal, never eat anything that you have not absolutely, positively identified as safe. When it comes to foraging the first thing to be able to do is to identify where to look for food. This blog won’t cover specialist instructions on identifying fungi – to do that you need to take a course. If you’re interested in learning more about foraging why not take part in our weekend bushcraft course. What we will look at in this blog is where to look to find foods to forage and good spots to fish along the Scottish rivers. Remember, this is to supplement your meal when canoeing in Scotland, not to provide all the nutrition that you need. Also, keep in mind that this is a broad look at what is available to forage in Scotland and doesn’t mean that all the foods mentioned are available throughout the country. Scotland is a wonderful place for foraging for wild berries. There are around ten varieties of edible berries that can be found in Scotland; these include blackberries, sloes, rowan berries, juniper berries and even wild cherries. These berries can predominantly be found in Perthshire, Strathmore, and Fife. Though they can also be found within the Grampian, Highland areas as well as Arran, Ayrshire, and the Borders. If you know your fungi then Scotland can be a great place for fans of mushrooms. Popular edible species found in Scotland include Chicken of the Woods, wood Blewitt, and hedgehog fungus. For more information about the different varieties of fungi available in Scotland see the Scottish Natural Heritage guide to fungi. 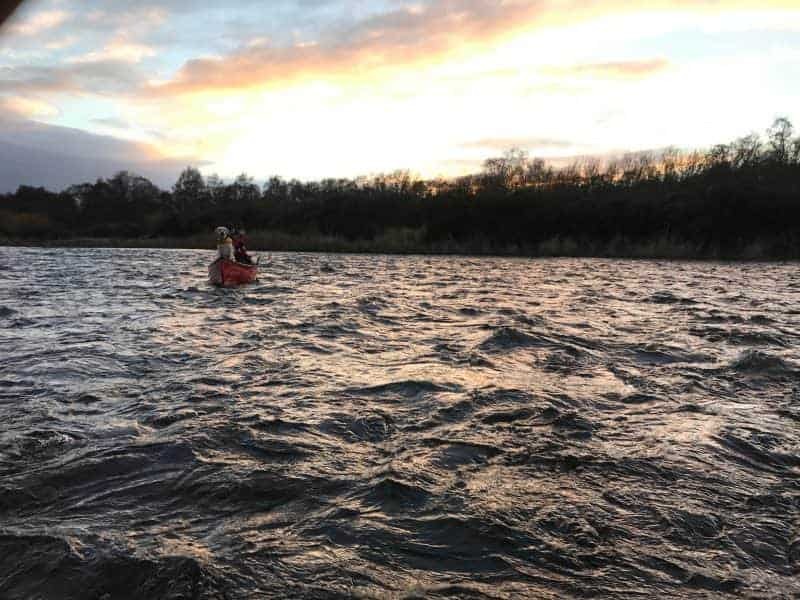 Of course, should your canoeing trip take you within sight of any of Scotland’s magnificent coastline then a wealth of foraging opportunities await you. In addition to the mussels, limpets, and winkles typically found along the British coastline, parts of the Scottish shore can also provide Dulse, a wonderful red seaweed which can make a good soup. 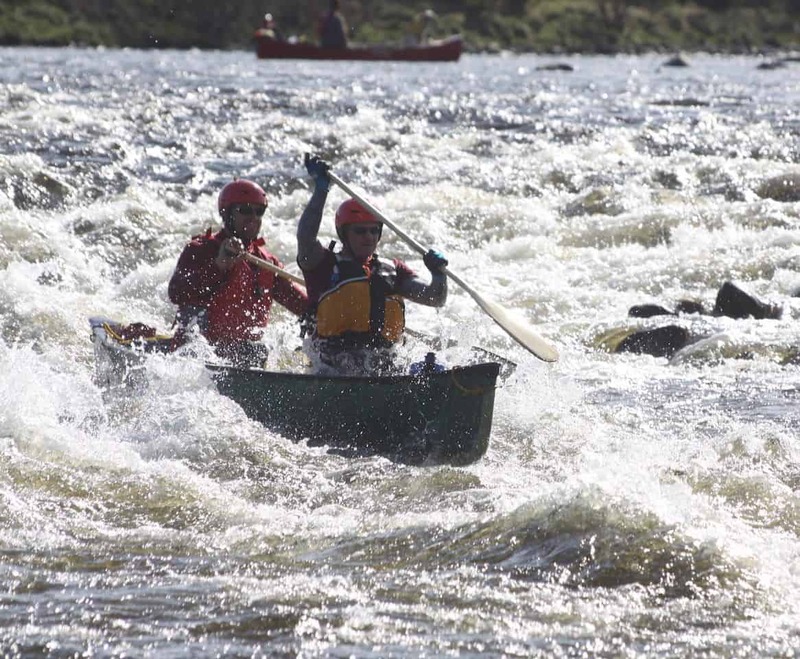 Join us on a once in a lifetime trip as we embark on a five day canoe expedition of the River Spey. Unlike in England, you do not require a license to fish in rivers in Scotland. 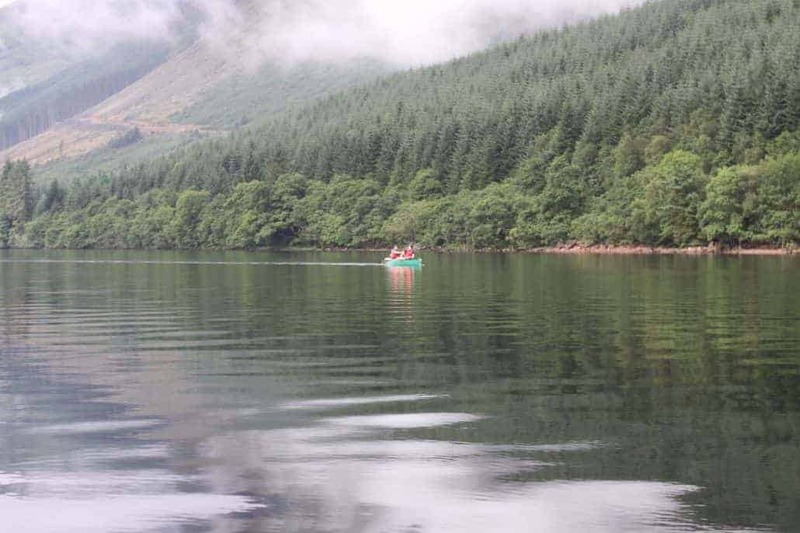 You do, however, need the permission of the landowner to fish for salmon and sea trout, and permission from one of the owners of any loch that you wish to fish in; each river also has its own seasons. For more information on the legalities of fishing in Scotland see: http://fishinglicence.eu/uk/scotland. The river Spey is one of Scotland’s finest Salmon rivers but is also home to Trout and Pike. For more information as to what to expect in the Spey see: http://www.fishpal.com/Scotland/Spey/ . There are essentially three broad types of bushcraft fishing techniques; hooks, traps/nets and spears/harpoons. In the following section, we will take a quick look at each of these in turn. Hooks are the classic method of fishing. A basic principle that remains the same whether being used with the most basic wooden rod or by the most experienced sport fisherman. The most basic hook is the gorge hook. This is a piece of strong wood or bone sharpened at both ends, the line is tied in the middle of the hook. It works on the premise that when the fish swallows the bait, the hook becomes lodged in a toggle fashion in its mouth. Hawthorn also makes a great fishing hook. While lines can be made from materials such as rawhide it is best, particularly when on a canoe trip where weight is not a huge concern, to carry your own line. This can be used in conjunction with a rod or strung across the river with the hooks suspended vertically from the main line. Traps and nets enable you to (in theory at least) to catch more fish with less effort. At their most basic all fish traps work on the same basis; that is the fish swim into a narrowing funnel which they are unable to swim back out of. Fish traps work best of fast flowing or tidal rivers where the force of the water can help to trap the fish. Depending upon the amount of time available to you fish traps can either be complex woven basket-type devices of simple rock walls which guide fish into blocked off eddy pools. In bushcraft, traps are preferable to nets, simply because the latter requires a great degree of cordage. However, if you’re going to be out in the woods for a while then they may well prove a worthwhile investment of your time. While it might look easy in the films, fishing with a spear or harpoon is actually very difficult and requires considerable practice. Just to be clear, technically harpoons are thrown rather than thrust, both can have detachable heads, though in reality the terms are used interchangeably. Your spear/harpoon should be made of a light yet strong wood with a narrow point (either of bone or carved into the harpoon itself); this point should be narrow enough so as not to destroy the fish. In next week’s blog we will be taking a look at natural navigation in the UK. 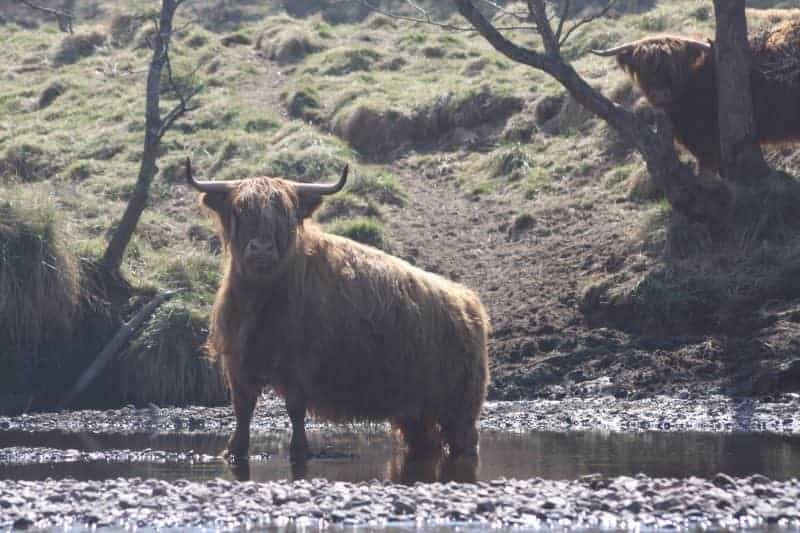 In the meantime take a look at some of the wildlife that you might see if you join us on our five-day canoe expedition along the river Spey; read River Spey Wildlife .